Mumbai, The City That Never Sleeps, is known throughout India and the world at large for many things. From its anomalous mix of people to the massive variety of street food to choose and eat from, this city has it all. But one thing that comes quickly and inevitably to mind are the images of crowded trains, never ending queues of cars and yellow-black taxis, bumper to bumper, constantly honking. 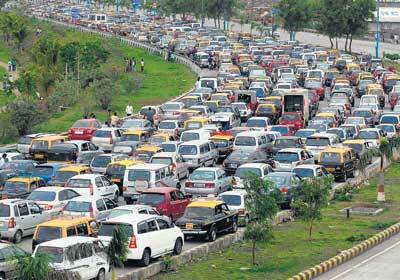 Once known for its disciplined driving, Mumbai has lost this reputable tag over time and is today known as a driver’s nightmare. From jumping traffic signals, overtaking from the wrong side, cutting lanes and in certain cases, disrespecting pedestrians, Mumbaikars refuse to adhere to the traffic rules anymore. 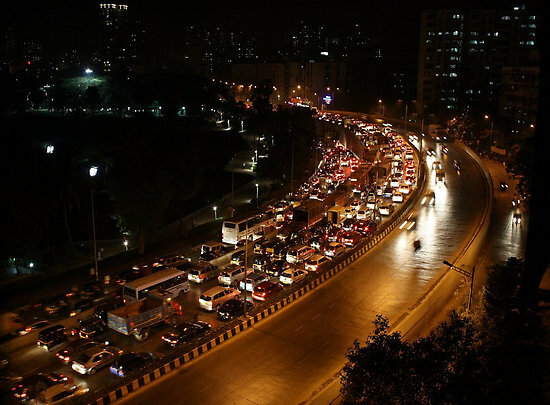 The number of private vehicles is increasing everyday and with that, tempers are fraying and drivers challenged by dug up roads and traffic jams, are throwing caution to the wind. 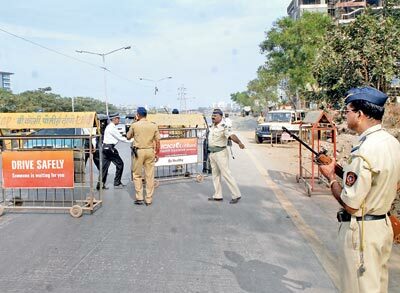 Not only cars, but even street vendors and hawkers are moving on to the roads which further restricts road movement. 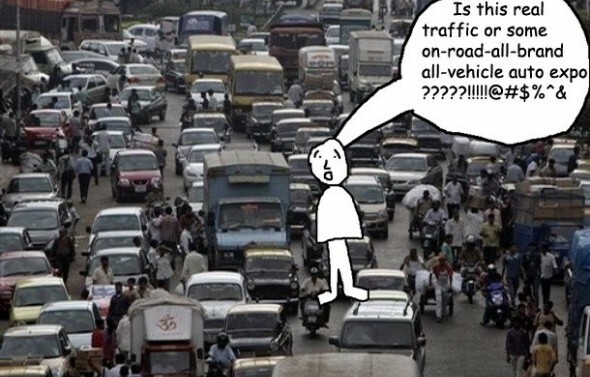 Poor infrastructure planning is another factor that plays a major role in omnipresent traffic jams all throughout the city. Flyovers and highways are being built in places that neither requires such development nor has the space to accommodate them with ease. 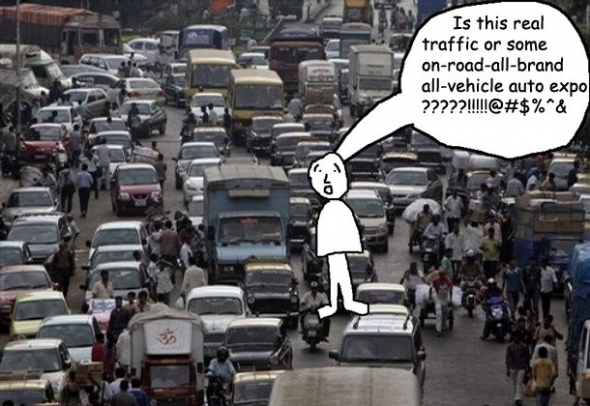 In today’s environment where the people of Mumbai are on the go at all times, they find it difficult to patiently stop at a traffic signal and wait for it to signal a “go”. Bikes are the worst. They take sharp turns, cut through the traffic and break signals like it is nobody’s business. ▪ Always wear your seat belt. ▪ Do not drink and drive. ▪ Keep your driving license on you at all times. ▪ Obey all traffic signals, signs and speed limits. ▪ Never use your cellphone while driving. As cliché as it sounds, those rules must be followed. Why compromise with safety? Just charging fines and having naka bandis (police check points), does not solve the problems of drunk drivers and rash driving. When the law is broken, punishments such as community service or watching road safety documentations should be enforced. At present, it is important to educate the youth about the growing problems of Mumbai traffic and the simple ways to prevent them. By inculcating these rules into young minds, they will eventually grow up to be mature drivers. Road safety talks should be conducted in schools and colleges to encourage the rising generation to abide by the laws and drive carefully.